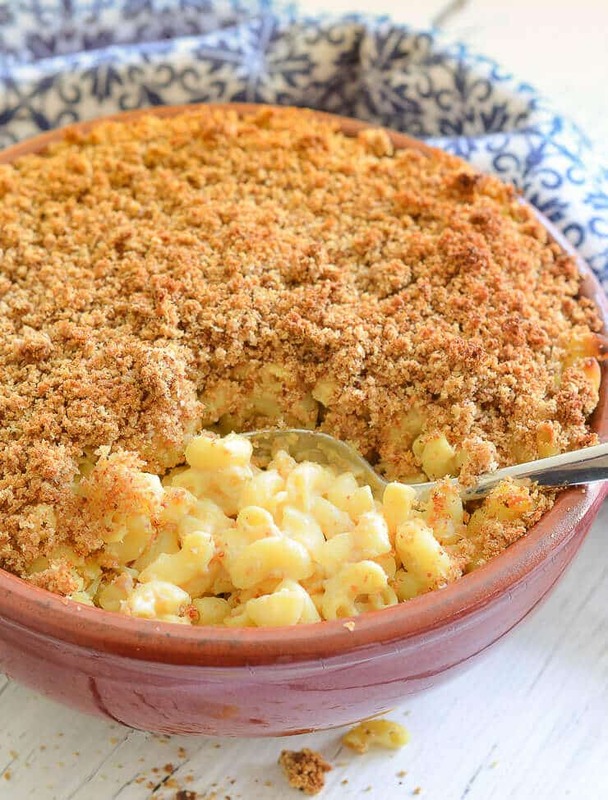 The ultimate Baked Vegan Mac and Cheese. 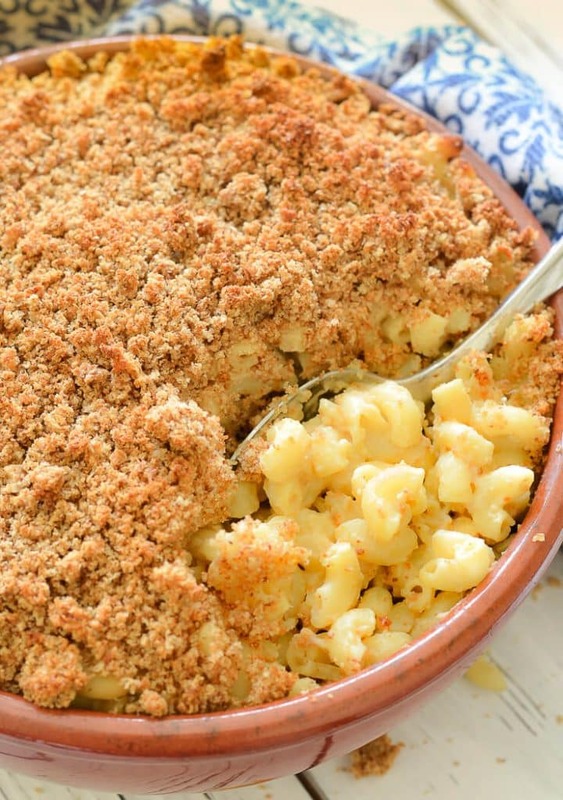 Cheesy, saucy macaroni topped with an irresistible buttery & golden crispy crumb topping. No dairy, no nuts & easily made gluten-free. Prepare to get saucy! This world has been conspiring against this recipe. I actually perfected it ages ago and shared a little teaser video on my Facebook page and Instagram. You all went nuts wanting the recipe and I promised it the week after, then not so good weird life things happened. Now weeks and weeks later it’s finally here. Although, I am only posting it now due to the pressure you guys are putting me under! ???? I have shot the photos for this recipe three times now and am still not happy with them. Today’s photos aren’t bad, but my pasta to sauce ratio isn’t great so it looks a little dry. That’ll teach me to just eye-ball the pasta rather than measuring it. You’d think I would know to follow my own recipes. ???? Honestly though, if you follow the recipe and eat it right away, instead of standing over it with a camera for 2 hours first, yours wont be dry in the slightest. ???? Enough is enough though. I am still getting daily emails asking me for the recipe so I have decided to just go with it. 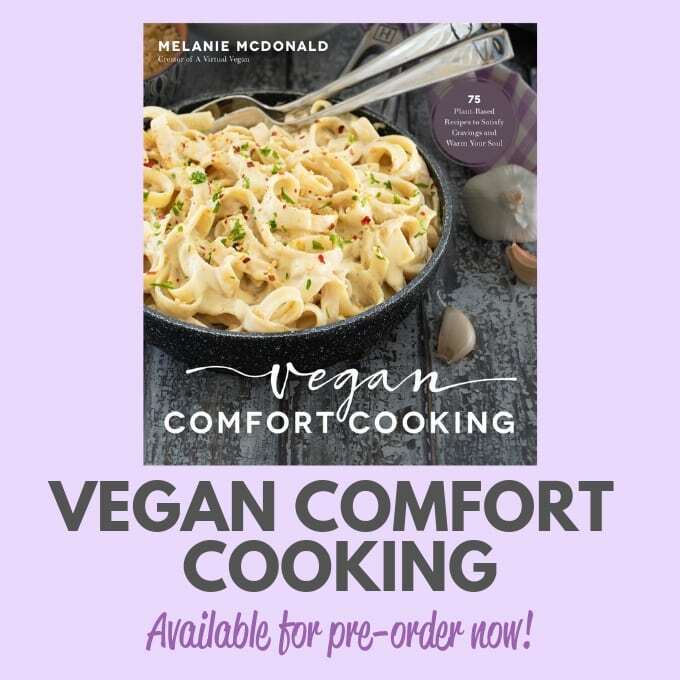 Ok, so there are hundreds of Vegan Macaroni and Cheese recipes out there, but I have never found one that has truly done it for me. Of course I haven’t tried them all, but I have tried a lot, and I have made a lot of my own versions. Until now they have all fallen short of perfection. You see, I was the hugest mac and cheese lover before I was vegan. It was probably one of my all time favourite meals and let me tell ya, I made the meanest non vegan mac and cheese on the planet. It was incredible. That’s why vegan versions have an awful lot to live up to. For me, the ultimate mac and cheese should be saucy (but not too saucy) and buttery with a sharp cheese taste and it must be baked and it must have a crispy topping. It’s just not proper mac and cheese otherwise. I am very hard to please! My incredible non-vegan version from years ago had a crispy, golden, broiled cheese topping and it was my favourite bit. So with this Vegan Mac and Cheese you get meltingly soft cheesy (yes cheesy!) insides and the all important crispy, crunchy topping. DAIRY-FREE, NUT-FREE & EASILY GLUTEN-FREE MAC AND CHEESE! Unlike many Vegan Mac and Cheese recipes this one does not contain any nuts. Often cashews are used as a base for vegan cheese sauces and although I love cashew cheese sauce, I wanted this recipe to be accessible to everyone. So, as well as being nut-free it can easily be made gluten-free too just by using gluten-free macaroni. It also has hidden veggies lurking in the sauce. Shhhh! Don’t tell the kiddos. What they don’t know won’t hurt them…..
As well as tasting fantastic, this Vegan Macaroni and Cheese is pretty straightforward to make. Start by throwing all the sauce ingredients into a blender and blending until nice and smooth. It must be perfectly smooth otherwise it won’t taste as luxurious as it could. I love my Blendtec for this ??? ?but any high powered blender will do a great job and if you don’t have a high powered blender you’ll just have to keep going for a little longer until it’s good and velvety. Once the sauce is blended you just need to warm it through in a pan which thickens it up a bit and makes it more ‘real’ cheese sauce like in texture. Cook some macaroni in boiling water, then stir the ‘cheese’ sauce through and spoon it all into a casserole. Then comes the yummy, crispy topping. It takes two minutes to blitz it all up in a blender, then spread it over all the cheesy goodness and bake until golden and bubbling. the cheese sauce is great in other recipes too, like cauliflower cheese, on power bowls, in lasagne, or anywhere else you need a cheese sauce…because everyone needs cheese sauce in their lives ???? 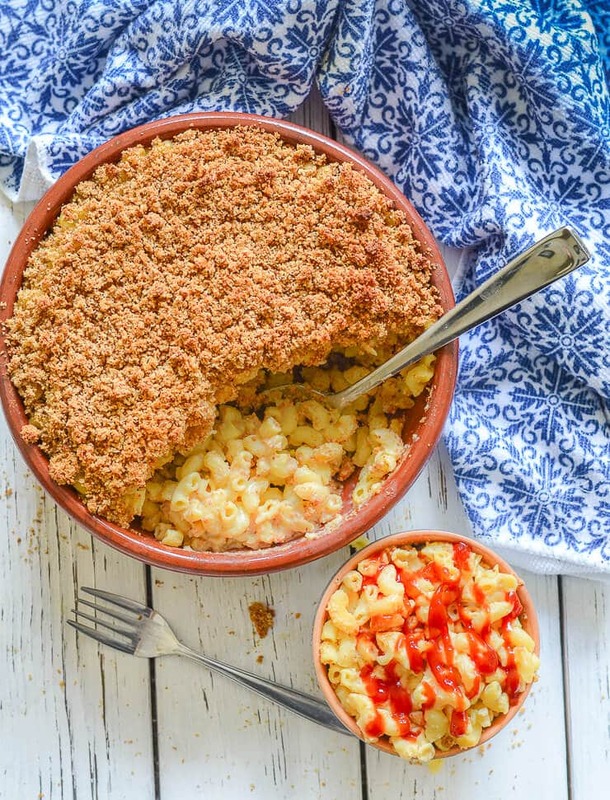 I usually serve my mac and cheese just as it is with a big squeeze of my guilty pleasure which is tomato ketchup but it is also great healthified up a bit with a big crisp salad or with some veggies. Broccoli and peas in particular are a great match. You could also try adding some slices of tomato to the crumb topping before it goes in the oven for an extra special flavour/texture sensation too. It’s so good! You have no idea how many times I have made and eaten this Baked Vegan Mac and Cheese over the last few months and I never get fed up with it. I am still making it frequently now and I think I always will. It’s a sure fire winner! This is the Vegan Mac and Cheese you have been waiting for all your life! ???? 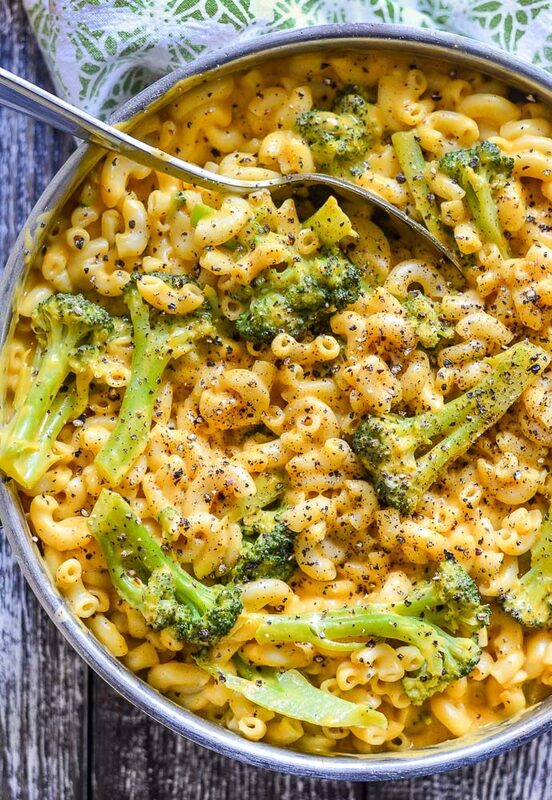 If you are a mac and cheese fiend like me though, you might also want to try this Mac and Cheese with Black Pepper and Broccoli . It’s also super yum! 290 g | 1 really packed cup yellow sweet potato cooked, cooled and skinned. If you can't find yellow sweet potatoes then use a regular white potato instead. 4 heaping tablespoons | heaped ¼ cup white miso paste I use naturally aged organic Amano Shiro Miso (use chickpea miso to keep the recipe soy free. Around 1¾ teaspoon salt It might seem like a lot of salt but it really helps bring out the 'cheesy' flavour. Add it gradually though to get it just right for you. 1 cup | 240mls unsweetened non-dairy milk NOT almond milk - the flavour comes through too much & takes away from the cheesiness. Not rice milk either as it's too sweet. I like cashew milk best as it's rich, thick & neutral. If you need the recipe to be nut-free, soy milk would be a good choice. Add all of the sauce ingredients except the optional butter and salt to a blender and blend until completely smooth. If you have a smaller blender you might need to do it in 2 stages. Add the salt gradually to taste and blend a little in between each addition, tasting as you go. Salt really brings out the cheesiness so it is important to be generous with it. Fill a large pan with water and bring to a rolling boil then cook the macaroni as directed on the packaging. Pour the cheese sauce from the blender into a pan and warm through over a medium heat, stirring constantly until it is hot, glossy and the texture of cheese sauce. It should only take about 5 minutes. Finish with the butter if you are using it. It adds a lovely richness and extra glossiness! Just stir it in then remove from the heat. Quickly wash out and dry your blender, then break the bread into pieces and place in the blender with the butter or olive oil. The oil/butter is recommended for a crisper, more golden and more flavourful topping but if you prefer not to consume oil you can omit it. 1 clove of garlic is optional too. Blend until crumbs. Spoon the saucy macaroni into an oven proof dish, sprinkle over the crumbs evenly then place in the oven and cook for 20 - 25 minutes or until it is piping hot and the crumb topping is golden brown and crispy. Serve immediately. Tapioca flour is my thickener of choice in this recipe because it gives the sauce a texture like a sauce made with cheese. It really is the best option. However, if you need to sub it then I think arrowroot powder would be the next best option, followed by corn starch. This mac and cheese can be made ahead and kept in the fridge for a day or two before cooking if required. Just add an extra 5-10 minutes onto the cooking time. It also reheats well in the unlikely event you have leftovers. ??? ?